Indian Super League 2016: Today the official sports website of Indian Super League published the important note. It is the third Football edition of ISL 2016 fixtures. The Indian Super League scheduled from the first date of October and the final match will conduct on December 18. Here, we provided the complete ISL 2016 schedule with date, time and venue. The Officials didn’t mention the venues for Semi-finals and finals. It will be decided after the leg matches. It may be conducted on the Home ground of playing team. The ISL 2016 fixtures consisted of the 61 Football games by spending 79 days at eight venues. All the Eight venues are listed here. In this ISL 2016 will be conducted in the format of Home and Away team. Also, each semi-final has the two leg matches. The First Inaugural match will conduct at Indira Gandhi Athletic Stadium, Guwahati Stadium for NorthEast United FC vs Kerala Blasters FC. The defending champion Chennaiyin FC will play aginst Atletico de Kolkata on the second day of ISL 2016 at Rabindra Sarobar Stadium, Kolkata. The opening ceremony of ISL 2016 will celebrate at Assam. The Pre-work and arrangements are on-duty. Here, it is the complete Fixture for Indian Super League 2016. We will update the winner list and points table. Stay tuned with us and celebrate ISL 2016. 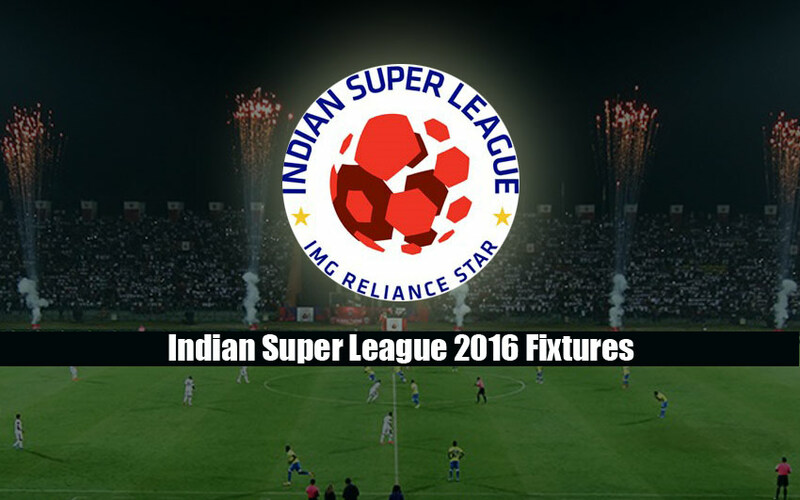 Share this ‘Indian Super League 2016 (ISL 2016) Schedule, Fixtures, Date, Time’ to your Football Fans and Friends. Stay tuned with us on our Facebook and Twitter.